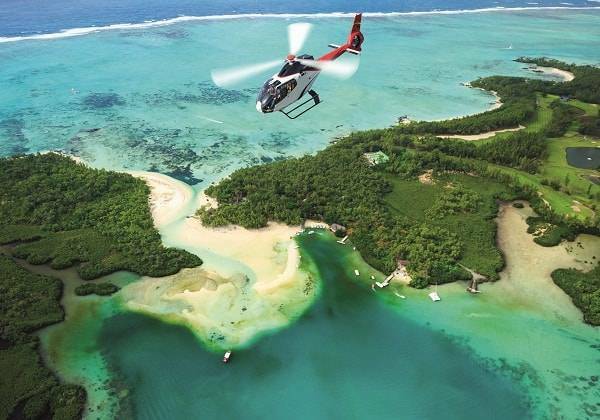 Explore the magical spots of Mauritius from above. 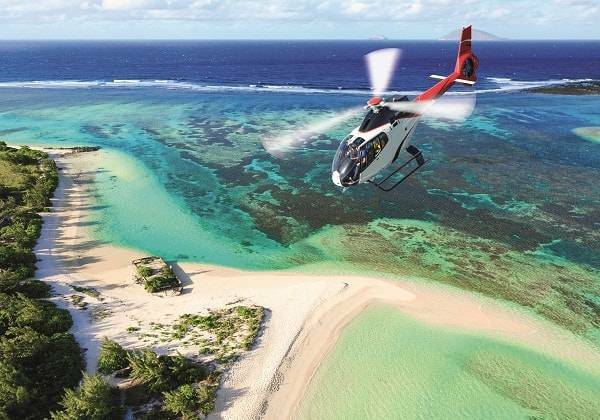 Corail Hélicoptères will take you on a mesmerizing journey starting from the heart of Mauritius, in the capital of Port Louis known for its busy life, old colourful architecture and historical places such as the Moulin De La Concorde and the harbour. 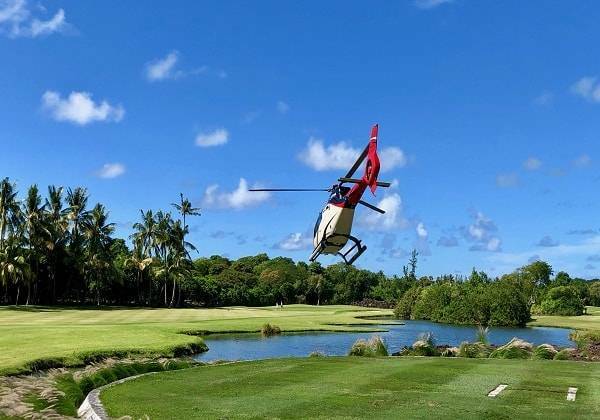 You will continue the tour flying over lush forests and blue lagoons towards Benitiers Island, an islet off the West coast known for its tranquillity and beautiful beaches. 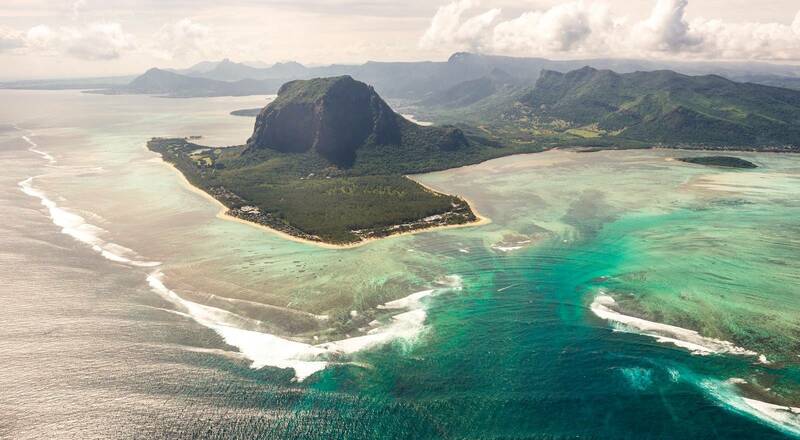 Overlooking the South-Western lagoon, you will see the majestic Le Morne Brabant mountain and the famous Underwater Waterfall with its shades of blue and green that seem to plunge into infinity. You will continue to discover the 7 Coloured Earth of Chamarel, a sight of pure magic and afterwards, The Black River Nature Reserve where you will get to experience the incredible landscapes and the diversity of the island’s flora and fauna. Finally, you will explore one of the key attractions of Mauritius, The Pieter Both Mountain which according to the legend, represents a man who broke a pact with the angels and was thus transformed into a mountain! Simply a magical experience. 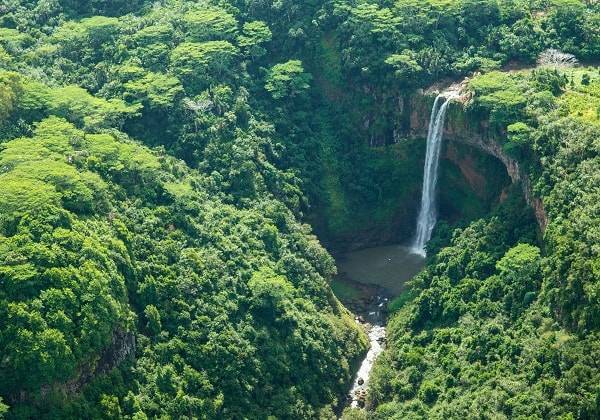 Sightseeing from the sky includes the city of Port Louis, the Black River Nature Reserve, Le Morne, the Undersea Waterfall, the 7 Coloured Earth of Chamarel, the Tamarin Waterfalls and the Pieter Both Mountain. Triolet Base 300 Euro per. person. Exclusivity from Triolet 1265 Euro. Exclusivity from other helipads 1900 Euro. 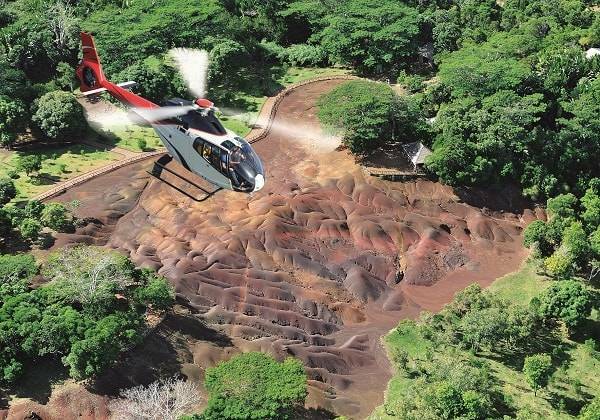 Guided helicopter tour over Port Louis, the Black River Nature Reserve, Le Morne, the Undersea Waterfall, the 7 Coloured Earth of Chamarel, the Tamarin Waterfalls and the Pieter Both Mountain. Triolet Base, North./ or other helipads on request. Children below 12 years old must be accompanied by an adult. Underwater waterfall is a must-see! Make sure you will book a flight which includes this. Unforgettable experience! Big thanks to our Pilot who was very patient with us and gave us many interesting Information about the places we have seen form above. We got married in Mauritius and my husband surprised me with the Magique tour of the island! 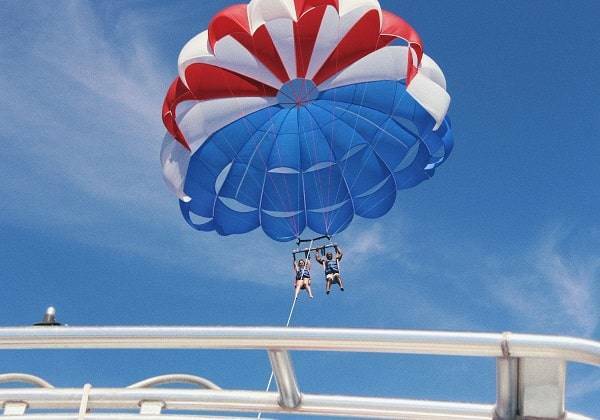 This includes the view of the underwater waterfall and it was worth every penny! The pilot was very good and knowledgable. He was also very considerate of all passengers ensure we passed the big landmarks on both sides of the helicopter! I would highly recommend this tour and company to everyone! Thank you P.s these pictures are the actual ones we took from the Helicopter!